I can’t stomach not knowing, I can’t just take it in. It gives me a lump in my throat and makes me so up tight, but if the firm really went bust, then I know I’d never get off the toilet for a week. So many everyday expressions are based on parts of the gut. How many can you think of? I can’t stomach it? I can’t swallow it? Butterflies in the stomach? Lily livered? When I was very young, my grandmother used to ask me; ‘What’s the difference between a rotten egg, a grand piano and your face?’ I’d smile expectantly. ‘Well’, she’d say, her eyes glinting, ‘a rotten egg makes you sick, a grand piano makes mu-sick and your face – yes, you’ve got it,- makes me sick. And there’s ‘up tight’ and ‘Gutted’. One of my patients developed IBS for the first time after his girl friend dumped him. And how did you feel, I asked. ‘I were gutted’, was his response. Exactly! Of course this isn’t at all surprising. It’s nothing new! Think of the some of the old words for emotion; melancholic, choleric, splenetic, phlegmatic. There is no better barometer of our emotions than the way we ‘feel’. That’s why we use the term feelings interchangeably with emotion. And the gut has often been considered ‘the root of our feelings’. Indeed when we were very, very young before we could express emotion and we just had bodily feelings, so much was expressed through the gut. Mothers knew only too well that when their baby was uncomfortable, frustrated, hungry, cold or just lonely, because then they wouldn’t eat, th’d choke, bring their feed up, their bowels were runny or they didn’t go at all or they had colic. Such gut feelings and gut reactions are mediated by the sympathetic and parasympathetic nervous systems, which bring about actual alternations in gut function. It’s only as we get older and begin to think, that we can bring our feelings to mind and deal with them. Then the symptoms quickly go. Of course, it may not always work like that. If something happens that we cannot deal with, something that we feel so ashamed of we can’t admit it to anybody, then the tension and the feelings stay, wrenching the gut out of kilter and making our lives a complete misery. So listen to your gut. It has a hot line to the mind. It will often tell you that things don’t feel right even before you know it yourself. Trust your gut feelings. Understand your gut reactions. Learn to deal with the situations and events that cause them. This will make you stronger, more resilient, give you the guts to cope with anything in life. But in order to preserve that vital early warning system, look after your gut, treat it well, eat sensibly, don’t overload it, have enough off- time. You are the proud owner of a fine instrument, strung with the most delicate gut, tune it well and learn to trust it! 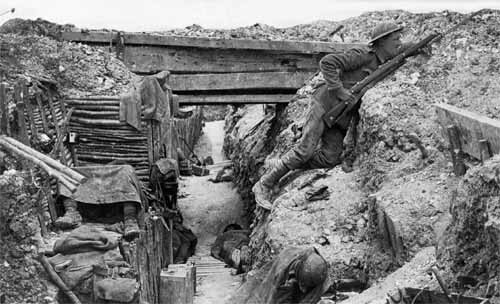 Dulce et decorum est ……..
Eric Remarque writes in the first person and present tense. We are there with him, crouching in shell holes, deafened by explosions, but still acutely aware of the pop of mortar shells, the hoot of gas shells or the little whirring ones that release enough shrapnel to cut a man to pieces. We smell and see death everywhere, the sickly sweet scent of corruption, bits of body hanging on splintered trees. We hear the screams. We see boys broken down, weeping for their mothers . We are there clearing an enemy trench with grenades, running, lunging, stabbing, not thinking, limbs working like a robot. The enemy is a machine to be put out of action, a dangerous animal; kill it or be killed. Don’t think! We spend the night lost in a shell hole in no man’s land, crouching up to our necks in mud and water as bullets whistle overhead. We suffocate in our masks as the greenish gas settles in our craters. We see those who have torn them off coughing up the pink froth of their lungs. There is only so much gore and death that a person can take! We become immune to the horror of it all. It is the inevitable backdrop of war. Just keep your head down, run like the devil and if one comes for you, throw yourself in a hole. Stay alive! Don’t think! As a common foot-soldier, you can’t see the bigger picture, you are not fighting for your country, you are fighting for yourself and your mates; you just have to get through it, to last out until it ends. Remarque is German, but that is irrelevant. There are no sides in this war; the only enemies are pain, fear and death. Glory, bravery, honour, have no part of this. Pleasures are much more mundane; a full belly, a night’s sleep, an regular bowel, getting a good billet, going on leave, the memory of the touch of a woman, and comradeship; the companionship of communal latrines, crude jokes, a shared cigarette, a snaffled meal, revenge on a sadistic NCO. In war, it’s your mates that get you through. If the function of historical literature is to bring events alive, All Quiet on the Western Front succeeds like no other novel in conveying the essence of war for those who fight in it. It’s up there on a par with Wilfred Owen’s poem. Erich Maria Remarque was born Eric Paul Remark in Osnabruck and was just 16 when war was declared. He went to the front in 1917, was wounded at Passchendaele and evacuated to hospital. He never returned to the front. His novel was condemned by the Nazis as unpatriotic but he escaped to America on the last sailing of the Queen Mary with the help of his friend, Marlene Dietrich. He lived in Hollywood, got to know Greta Garbo and was part of the émigré celebrity circuit. His sister,Elfreda, remained in Germany and was executed by the Nazis for defeatist sentiments. Remarque, himself, was inaccessible. Somehow, I wish I didn’t know all that, but it doesn’t detract from the reality that he and the few like him achieved more hope in a few lines than a whole dead generation of young man. .
My grandfather, William Scriven, chief clerk at the Bristol and West Building Society, went to war with millions of others, even though he had a rheumatic heart. He was killed in the last battle in 1918. We might say, my mother, only 2 at the time, never got over it. It is 1918, the Bolsheviks have taken over in Russia and sued for peace, Germany has annexed Ukraine and installed a pro-tsarist puppet government under Skoropadsky, the Hetman, but Tsa Nikolai II and his family have been murdered in Ekaterinberg. The remnants of the old White Guard have migrated to Kiev and mobilised to defend the old regime. But when Germany sign the armistice with the western allies, they abandon the Ukraine, leaving a power vacuum, to be fought over by The White Guard, the Nationalists under their commander in chief Petalyura and the Bolsheviks. Alexei is an officer in the White Guard, so is his brother Nikolei. Their sister Elena is married to Tolberg, who is The Hetman’s Minister of War. So far the war and the revolution have hardly touched them. They and their brother officers continue to live in the style they did under the Tsar. But things are about to change. The Nationalists bombard the city. The Hetman flees to Berlin, abandoning the White Guard. It’s a case of every man (and every woman) for himself. Tolberg escapes with the Hetman to Berlin, abandoning Elena. ‘Of course I don’t want to go, my darling, but it is my duty. Besides I am too well known. If I stay I will be captured, tortured and executed by the Nationalists.’ Elena is bitter but not devastated. Within days she has encouraged the attentions of Leonid, who is rich and well established. Encircled by the Nationalists, Alexei explains to his brother officers the futility of resistance. They must throw away their insignia, put on peasant clothes and escape into the city. His brother officers resist, threaten to seize command, to fight on, but Alexei’s voice of reason prevails, though he is killed by a shell as he burns the roster of The White Guard. The family survive under the Nationalist government, but then the fighting stats all over again; the Bolsheviks attack the city. Tolberg returns only to depart immediately; he has an important post with the Bolsheviks in Moscow. The previous officers of the White Guard resolve to call themselves comrade and learn to become good Bolsheviks. Ukraine becomes a founder member of the USSR. Only Larion, a student and the Turbin’s cousin, remains loyal to his principles, but that is because he is not fighting for anybody else, he is a poet, just out for himself. Bulgakov’s is more than a historical drama; it is an investigation of the meaning of honour. 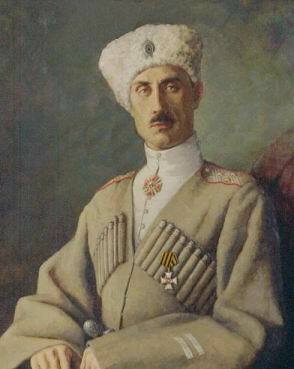 The White Guard had a proud tradition as the pre-eminent corps in the Russian army. Their honour is based on their loyalty; they would fight to the death to preserve the motherland and the Tsar. But the Tsar and his whole dynasty are dead (though some officers refuse to believe it) and his representative in The Ukraine has collaborated with the Germans and fled to Berlin. For soldiers, honour must have a focus. It is futile to sacrifice your life for nothing. But, as Alexei explains, ‘We can still preserve our honour as men, by surviving and caring for our families. No doubt, Elena too, feels that her honour as a wife means nothing in the face of her husband’s betrayal. But others; Tolberg, The Hetman, perhaps Leonid too, are opportunists, politicians for whom honour means little. Larion just avoids the issue. So what is honour? Why is it important? Well I think the nearest we can get to a definition is ‘being true to oneself’. This means living life according to the principles we would want to be acknowedged for. For some this might encompass a belief in God, loyalty to one’s country , adherence to a particular set of ideas and beliefs, but for most it is the normal social values like truth, consistency, reliability, and loyalty to family and friends. These values are inculcated in us from childhood, modified and reinforced by experience. They represent who we are. If we betray those then we betray ourselves and we are shamed. So we try to live our lives with honour so that we preserve the essential meaning of our lives. It is a truly terrible thing to lose one’s soul, not because of any religious mythology, but because we can no longer live with ourselves. And then life becomes meaningless. But honour is constantly under threat ; by ambition, greed, desire and fear. Politicians, for all their bombast, are masters of expediency and deception. They may not mean to be, but the political environment makes it necessary. How can they promise so much to so many different groups without compromise and deception? It’s quite impossible, but I wish they could come clean about it. ‘Look, I’m sorry, but I’m trying my best to deal with an impossible situation.’ A hundred years ago, the only honourable way for the European powers through the web of promises and alliances was to embark on the war to end all wars. No wonder we are cynical, but it’s all part of the game. Only when there is a clearly identified enemy can a politician show true conviction and honour. Churchill’s speeches stiffened the backbone of a whole nation and made people proud to be British. At that time, he was truly a man of honour. It was what he was born for. And how many of us can act with honour when our life is threatened or when they stand to lose everything they hold most dear, the whole meaning of their lives? We like to think we would act honourably, we might even condemn those who don’t, but how many of us have been tested? Simon Yates cut the rope linking him to his climbing buddy, Joe Simpson, in order to save his own life. Even twenty years on, I wonder how easy it is for him to live with himself within the comradeship of climbers. To err is human; the best thing we can do is to acknowledge our sin, to let go and resolve to be stronger next time. To forgive, divine. Redemption needs external reinforcement and is won only with pain. Honour, desire and fear are the forces of personality, each pulling against each other as they attempt a precarious balance. But if honour is based on wisdom and understanding instead of blind dogma, it can contain the forces of desire and fear and provide the stability to consider the risk of change. But it all depends on the quality of our upbringing. Those brought up with principles that are too rigid, cannot face change with impunity and remain stuck. Those brought up without clear notions of right and wrong risk chaos and shame. Those brought up with an overblown sense of entitlement will all too ready sacrifice any principles they might have for power and excitement. Power corrupts, desire corrupts, fear corrupts because they infect and soften principles of honour. The White Guard, based on a novel by Mikhail Bulgakov and based on the experience of his own family, is currently showing at The National Theatre in a new version by Andrew Upton. I didn’t think it was a good play and some of the casting was impossible. Who ever conceived the idea of Conleth Hill as Leonid, the great seducer and aide de ‘camp’ to The Hetman? He would have been much better in The Producers. Mind you, there was more than a touch of the Hermann Goering in his performance. Maybe the attempt to introduce humour into the play just didn’t work; it was forced and artificial. Bulgakov’s portrait shows a surprisingly louche young man. One wonders how he survived as an author in Moscow. What compromises would he have had to make? Stalin apparently loved the play; he saw it 15 times. Once was enough for me. Vincent van Gogh; just too much! Vincent van Gogh is all too often seen as the mad genius who created masterpieces while in a state of ecstacy and infatuation, the man who cut off his ear in despair and took his own life, but that is a distortion. He was more an intensely driven man, awkward and socially inept, desperately trying to be accepted by the only means he knew, his writing and his art. He was a lonely man. He worked ceaselessly to find meaning by expressing what he saw as the soul of nature and people. Deeply passionate and insecure, Vincent struggled to find an identity in art, and one that could be valued by society, but all too often, his intensity and awkwardness were too much. It put off the very people who might value his work. 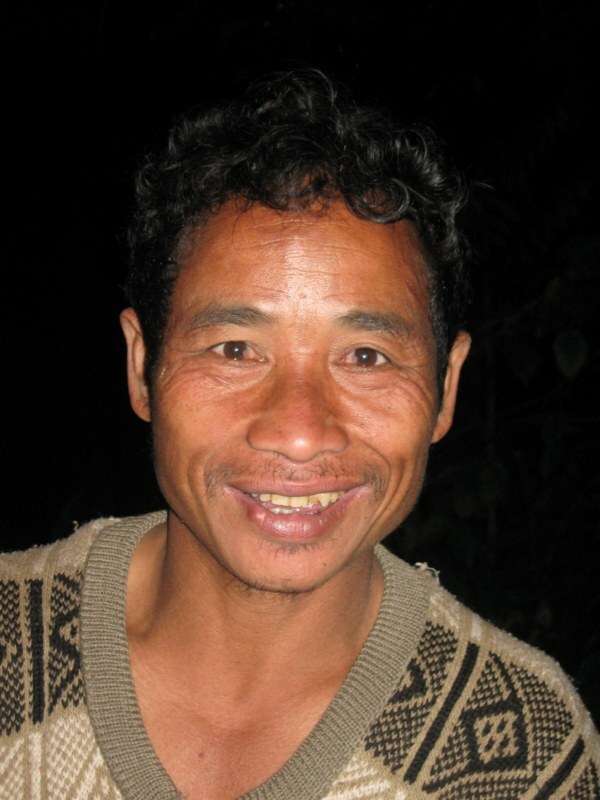 Vincent was the eldest of a large close knit family. His father was a preacher and for a time Vincent tried to find an outlet for his zeal in religion, as a minister in a poor coal mining region of Belgium, but his attempts to get close to his parishioners by living like them shocked his elders and they refused to support him. He worked in his uncle’s firm of art dealers, but his intensity put people off. He was a rebel. He had strong inflexible views about religion and argued constantly with his father. His passionate nature, his need for love, could lead him to form intense attachments, like the one to his widowed cousin, but he was all too often rebuffed. After his father died, his sister, Wilhelmina, told Vincent to leave home because his eccentric behaviour was causing comment in the village and upsetting his mother. Vincent would have felt this rejection keenly, but the fact of the matter was he was too much, too much for other people and too much for himself. His brother Theo persuaded Vincent to go to Paris to meet other artists and learn from them and continued to support him both emotionally and financially. His work in Holland had been poetic, dark and melancholic. His move to Paris led to a thawing of his palette. He visited all the greats; Pissarro, Gauguin, Manet, Seurat and absorbed everything they had to teach him while developing his own unique style using a combination of vibrant brushwork, delicate draughtsmanship, an emotionally charged palette and everyday motifs. He worked tirelessly at his craft, single minded, focussed and remarkably lucid, constantly improving refining in his quest to capture the essence, the source of meaning. What Vincent was struggling with was the dilemma of the creative artist. While he needed to have the creative space to develop his own unique expression, that expression, his identity, could only be validated through his art. It was a paradox; he had to be alone to belong, his obsessional intensity fended people off though he desperately needed their love. He wanted more than anything else to be accepted and he never stopped working. His entire oeuvre was accomplished in a brief 10 year period between 1880 and 1890. He was entirely self taught, using a frame he had read about in a book to master perspective. He learn to master expression, character. It was as if he needed to get beneath their skin, to really connect. His most fervent wish was to mean something to the people around him, to make a useful contribution. ‘Man is only here to accomplish things’, but his work was little appreciated during his lifetime . Work had always been a lifesaver for Vincent, his reason for living, his entire meaning in life. Nothing else mattered. So what went wrong? Why did he cut off his own ear? Why did he shoot himself? As ever, it was a combination of events. Theo’s plans to get married may have prompted him to move down south and get his own place. Arles was different, strange, and had an intensity of light a vividness of colour that seemed to resonate with something inside Vincent. Things were more extreme there, more dangerous, and he was lonely. And then there was Gauguin’s visit. Vincent had loaded so much meaning on this visit. They would be brother artists, paint together, start a colony of artists in the south. But Paul Gauguin was more self sufficient that Vincent, more of a loner. He was sociable enough but he distrusted intimacy and would have found Vincent’s needs intrusive. He became irritated. Vincent was too whinging. They argued. Vincent lost his temper and threw a glass at him. Gauguin decided to leave. In desperation, Vincent cut off his ear. If that was intended as a gesture to make him stay, it backfired. He was left alone and desperate, and admitted himself to an asylum. He recovered for a while. His paints allowed him to focus his thoughts on something outside his own morbid preoccupations, but eventually it all got too much for him. He began painting images of death. His work was not selling. Nobody cared. It was hopeless. And one sunny morning in the corn field, he shot himself. Vincent Van Gogh wasn’t born an artistic genius, he made himself one though the most intense focus and dedication. 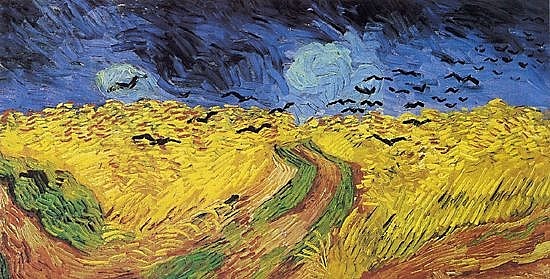 What created the brand Van Gogh; self belief, courage, imagination, perseverance, and faith could so easily be transformed into the single minded obsession, the fanaticism, the lack of compromise and the escape from reality that could slip into a darker palette without human comfort or hope. He needed the unflinching of Theo, faith is the meaning of his own art and the approval of artists he admired. His genius need to be held, to be contained. Like specialist plants and animals, he was all too sensitive and vulnerable to changes in his social environment. Without Theo, he could not survive. A year later, Theo died too. The real Van Gogh; the artist and his letters, is currently exhibited at the Royal Academy until April 18th. Don’t miss it! We don’t hear very much about William Sargant now, but in his day, he was the most eminent figure in British psychiatry, a large man with a leonine profile and convictions as strong as his character; somebody you obeyed and never argued with. David Owen, one time British foreign secretary, worked under Sargant at St Thomas’ in the 1960s and recalled him as “a dominating personality with the therapeutic courage of a lion” and as “the sort of person of whom legends are made”. But others, who preferred to remain anonymous, described him as “autocratic, a danger and a disaster” He was a man who could excite strong opinions. Although he was part of the listening profession, Sargant wasn’t a great listener. Describing himself as “a physician in psychological medicine”, he abhorred psychotherapy and dedicated his life to leading the biological revolution in psychiatry, promoting such treatments as psychosurgery, deep sleep treatment, electroconvulsive therapy, insulin shock therapy and the development of mind altering drugs. He had the courage of his convictions, but his reliance on dogma rather than evidence have made him a controversial figure. His book, Battle for the mind, a physiology of conversion and brainwashing, written with the help of Robert Graves, emphasises the apparent need for evangelists and politicians who would change people’s minds to excite them first. William Walters Sargant was born in 1907 into a ‘larger than life’ Methodist family in North London. Five of his uncles were Methodist preachers, one brother was a bishop; another, Thomas Sargant, a human rights campaigner. He got a place at St John’s College, Cambridge and became President of The Cambridge University Medical Society. He did his clinical training at St Mary’s, where he excelled in the Hospitals Rugby Competition. Too impulsive and sure of himself to be a great academic, his one foray into medical research, a paper on the use of large amounts of iron to treat pernicious anaemia was criticised and this may have led to his mental and physical breakdown and his subsequent shift to psychiatry, where the absence of validated treatments gave him free rein to develop his convictions. It was at the Maudsley under Edward Mapother that Sargant became convinced that ‘the future of psychiatric treatment lay in the discovery of simple physiological treatments which could be as widely applied as in general medicine‘. 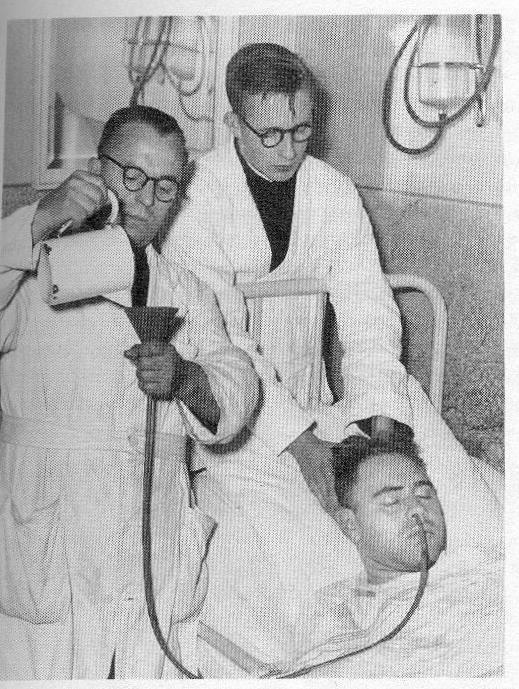 During the war, Sargant worked at the Sutton Emergency Medical Service but was frustrated when London County Council medical advisors tried to curb his experimentation with new treatments but, as he said “we generally got our own way in the end”. While at Sutton, Sargant treated veterans with battle trauma by abreaction, deliberately getting them to relive their experience on the premise that it would eventually wear away. He described a man who was shot at by German pilots as he swam out to the boats at Dunkirk, experienced all over again the terror of drowning but then walked away from the session without a care in the world. Sargant never really validated or controlled his studies or even analysed the results of his treatments. He was no scientist; he just did what he considered right. In 1948 he was appointed director of the department of psychological medicine at St Thomas’s Hospital, London, and remained there until the 1980s. There he developed his procedures for ‘brainwashing’ . He created a 22 bed sleep ward on the top floor of the adjacent Royal Waterloo Hospital,, in which he would keep his traumatised patients in a continuous state of heavy sedation for periods of up to three months and subject them to insulin coma therapy and frequent electroconvulsive treatment. This brainwashing, he claimed, re-patterned the brain, wiping it clean of the traumatic experience so that when they woke up they couldn’t remember what had happened . Sargant also advocated increasing the frequency of ECT sessions for those he describes as “resistant, obsessional patients” in order to produce “therapeutic confusion” and so remove their power of refusal. “All sorts of treatment can be given while the patient is kept sleeping, including a variety of drugs and ECT [which] together generally induce considerable memory loss for the period under narcosis. We may be seeing here a new exciting beginning in psychiatry and the possibility of a treatment era such as followed the introduction of anaesthesia in surgery”. No informed consent was requested for what was an experimental procedure. No systematic study ever validated Sargant’s cerebral lavage, but there are patients still alive who claim never to have recovered their pre-traumatic memory and become profoundly incapacitated as a result. Sargant, himself, ascribed such failures to the patient’s lack of a “good previous personality” and discharged them to the wards of long stay mental hospitals. These patients have never been compensated. All patient records at St Thomas’s and the related health authorities relating to Sargant’s activities were destroyed. But there was worse. When Harry Bailey, an Australian psychiatrist enthusiastically adopted Sargant’s methods with enthusiasm, 26 of his patients died. Sargant also admitted some fatalities. The fact that more had not succumbed was almost certainly due to the quality of care by the St Thomas’s ‘Nightingale’ nurses, who monitored the patients sleep every 15 minutes and woke them up every six hours for feeding and toileting. Sargant’s ward was closed soon after his death in the 1980s; his books removed from the libraries, his influence suppressed, his opinions castigated. One of my teachers, a surgeon, used to tell us that there were three types of doctor; the good, the bad and the downright dangerous. Sargant was the latter. Evangelism and conviction are dangerous qualities in medicine and Sargant has been roundly condemned as ‘someone of extreme views who was cruel and irresponsible and refused to listen to advice’; some suggested that he was motivated by repressed anger rather than a desire to help people. In medicine, tyranny is dressed in a white coat. But Sargant was a man of his time. Revolutions would not occur without the extremist, the outspoken, the dogmatic and the domineering. So those who would praise modern developments in the pharmacological treatments of schizophrenia, dementia and depression, have a debt of gratitude to Sargant the prophet, who had to be condemned for his extremism. For medicine is a profession that requires us to listen, make careful observations and assess any new definitive treatments by the most scrupulous scientific methods. Doctors have to be seen as caring and careful. I once knew a doctor who had the unfortunate surname of Reckless; he should have changed it. But, in Sargant’s defence (which is a bit like the defence of indefensible) the effects of new psychiatric treatments are not easy to assess. There are no measureable end points like inflammation, blood pressure, blood sugar levels. There’s just patient testimony. ‘Yes, I’m feeling much better, thank you.’ Good results may be more due to the care and attention of the doctors and nurses than any effect of the treatment. It all depends how you ask the question and what statistical methods are applied. Powerful advocates and suggestible patients can still produce ‘effective’ treatments. Perhaps that’s the nature of the mind; it’s confidence and faith that heals the traumatised psyche – and there are many routes to that. In a therapeutic wilderness, the most important thing is to be mindful to select treatments that do not have the potential to damage. Take antidepressants (or don’t take them), the most commonly prescribed drugs in the western canon. Are they effective, or do they just dull the sensibilities, sanitise the anguish and despair, and keep people in depression by suppressing the motivation for change? Even Sargant acknowledged, albeit in typical grandiose manner, how psychiatric treatments may strip away the personality and motivation. A recent systematic review could not establish any efficacy for the newer antidepressants, the latest generation of Sargant’s mind altering drugs, though they all have significant adverse effects. So why are billions still taking them? What does it say about society and those who run it? Sargant, the maverick, the charismatic loner, the one who dared but was considered out of step and downright dangerous, was as described in his autobiography, ‘A Quiet Mind’, a heavy smoker, suffered with tuberculosis and struggled with depression for most of his life. It was his karma, (the collective guilt of a family of preachers? ), and he lived up to it by putting his patients and his own reputation in considerable danger. Was this some death wish, some demon of self destruction? Winston Churchill, another depressive, comes to mind; so wonderful but so dangerous – relishing the excitement of risk, rushing up to the roof of 10 Downing Street during the blitz to watch the fireworks, but suffering agonies during peacetime inactivity. No wonder Clemmie found him difficult. David Owen who admired Sargant’s courage and spirit, has recently written a slim volume on hubris, in which Sargant doesn’t even get a mention. Ah! William Sargant was the subject of a Radio 4 documentary ‘The Mind Bender General’, first broadcast in 2009 and repeated last Wednesday. When fireflies blink and crickets wheeze. and eat with bamboo shots. .
What was it about Eric Lomax that enabled him to survive the most extreme imprisonment and torture when so many of his colleagues died? What strength of character allowed him to return to normal job in Edinburgh after such devastating trauma? And how could he actually bring himself to forgive his Japanese interrogator and actually become his friend? As a boy, Lomax was fascinated by engines. He would travel miles across country just to see one of his beloved machines. Later he espoused religion with the same dedication. He was quiet boy; he got on well enough with other boys, but was never happier than following his obsessions. 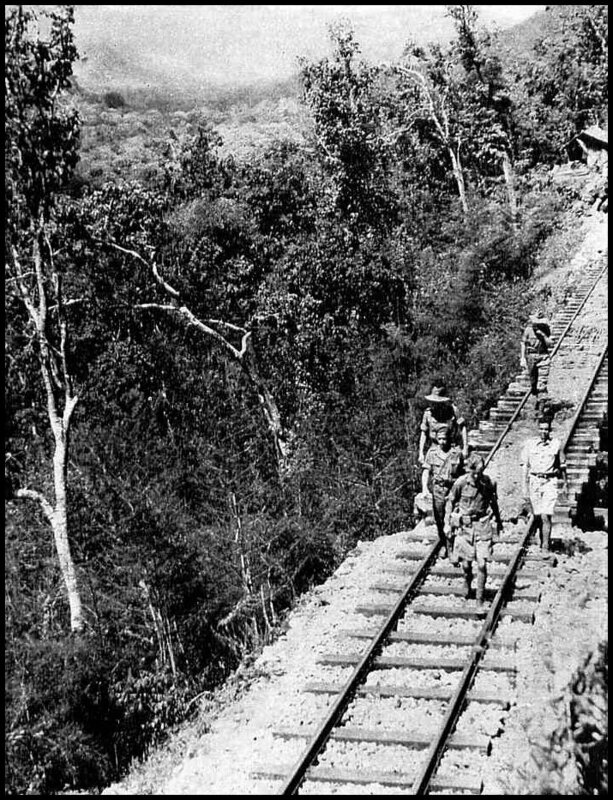 In 1939, he joined the British Army as a signaller, and was trapped by the Japanese with tens of thousands of other soldiers in Singapore in 1942 and assigned to work on the Burma Siam railway that would carry Japanese territorial ambitions to India. Despite the lack of food, filthy conditions, exhausting physical work in full tropical sun and casual brutality of some guards, the men alleviate their plight by growing or stealing food, dreaming up escape plans and constructing makeshift radios, by which to learn the progress of the war. Lomax continues to derive solace from his contact with the railway and his beloved engines. But after a tip off, the Japanese discover their radio and the map Lomax has drawn. In the book, he dispassionately describes the beatings with pick-axe handles, during which both arms are broken and his hips and back damaged. He is then handed over to the Kempitai, the Japanese Gestapo, who imprison him in a small ant-infested cage in full sun with only heavily salted rice to eat and subject him to prolonged interrogation interspersed by spells of torture and near drowning by waterboarding. He learns how to raise his pulse to dangerous levels and persuaded his captors to move him to hospital in Changhi where he survives, a living skeleton, until the Japanese surrender. Lomax was psychologically damaged for years after the war. As his physical condition improved, people ignored the effect of their trauma. In India on his way back, one mem’sahb commented that after a rest, he must be longing to do his bit and get back to active duty. His young wife was more concerned by the privations of rationing than his experience in the far east. Without validation and acknowledgement, it was like it never happened and he withdrew into himself. After another thirty years, the marriage failed. With the help of Patti, his second wife and Helen Bamber of the Medical Foundation for the Care of Victims of Torture, Eric Lomax finally managed to talk about his experiences. Patti is given a copy of Crosses and Tigers by Nagase Takashi, in which he describes the bravery of a young signals officer he interrogated. It is Lomax. Also traumatised by his experience, Nagase has become a dedicated anti-war campaigner. The two meet. Nagase is overcome with emotion and Lomax finds it in himself to forgive him and even accept him as a close friend. The Railway Man is indeed a remarkable book. Lomax is remarkable, not so much for his courage – courage is inconsequential when the outcome is inevitable – it’s when you choose to do the right thing even though you know you will suffer and even die for it that requires remarkable courage. No, it’s not courage that Lomax shows but endurance and will to survive. That requires other qualities such as hope and faith. People have written of how love for their wives or their God maintained their hope. I wonder if Lomax’s obsession with railway engines also provided that focus of imagination that transported him out of the real hopelessness of his circumstances, distracting him and providing the certainty that sustains him through the most dreadful pain and privation. It’s the doubtful, the needy and the insecure that succumb. You can put up with anything as long you have faith in something, because by transference you can then believe in yourself and gain distance from the pain and grievance. And that allows forgiveness. When people are desperate and fearful of their lives, they are capable of anything. The environment of war breeds inhumanity. Nagase hated what he was doing but was terrified of the reprisals if he refused. Nagase has atoned for his guilt. It was not a popular route he took. It needed courage. It was easier for Lomax to forgive him, but few would have done that. As the Buddhists teach, forgiveness sets you free.